Brother Jesse Blog: Kanye West and Road Manager Arrested at LAX for Possible Vandalism? Caught on Tape? Kanye West and Road Manager Arrested at LAX for Possible Vandalism? Caught on Tape? 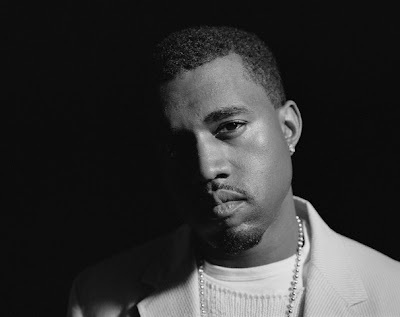 According to a report by TMZ.com, hip-hop artist Kanye West is out of jail and departed the LAPD's Pacific Division on September 11 at about 4pm. What happened? Well, just before Kanye and Crowley passed a security checkpoint at the American Airlines area a still photographer was taking pics of Kanye at Terminal 4. It just so happens that a TMZ cameraman was on site who said West rushed the photographer and snatched his camera. A struggle occurred and the guy was yelling, "Police, help!" Erik says Kanye then took the still camera and threw it on the ground, breaking it into pieces. Reports are saying that $10,000 worth of equipment. Ouch, as some might say! The TMZ report says Erik then went over to Kanye, his camera rolling, when Kanye's bodyguard walked up to him, realized Erik was taping, and said, "Give me the camera, give me the camera." Erik responded that he had a press pass and had a right to shoot. The assistant then grabbed the camera, ripped off the mic and viewfinder and smashed it to the ground. Erik says Kanye then tried to leave to board his plane, but cops stopped him before he got to security. The cops then interviewed Erik, the still photog, Kanye and his assistant.. This is where it gets crazy. The cops asked Erik if he videotaped the incident and Erik said he had. That's when Kanye lunged toward him and said demanded that Erick give him the video camera in foul language. Cops had to restrain Kanye as he tried coming at Erik. A TMZ poll of over 99,000 voters showed that 71% say "Kanye should go down". I like many enjoy the music and masterful beats of Kanye West so when I came across this I had to look into it more and then I saw the video. You know the media will look for any little thing to bring our brothers down so they have to be careful. I always heard that Kanye didn't like the media cameras...guess those reports were right.